Read only if you aren’t easily freaked out! Someone and I won’t name names (the Internet) freaked me out and said it was six months until Christmas. Why do that Internet??? It’s scary that the year runs away so quickly as is but to pinpoint a countdown gives me a headache. once upon a time a friend of mine magically proclaimed one September that she had completed all of her Christmas shopping. What the??? it often didn’t even register to me that it was coming until December 10th. Then it happened…. 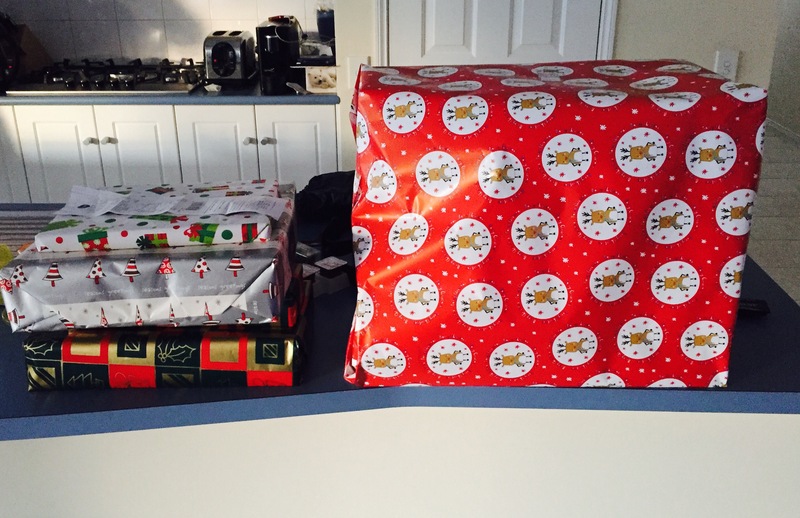 I was wrapping presents in June.This is just the Adelaide side I’ve got more at home. I’m not finished but man! I’m pretty proud of myself. I don’t think I’ve ever been this organised, now I can carry the debt for Christmas in July rather than the December version.